hospital equipment and furniture are worth their money. An instrument tray is slammed down on the work top. A fully-laden anaesthetic trolley bumps against a wall. 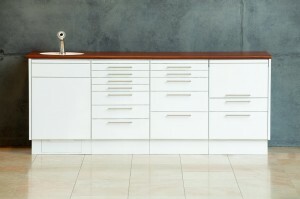 Work tops and furniture surfaces are cleaned over and over again. This is what hospital furniture has to put up with in everyday hospital use. If the furniture is lucky, it has been designed, manufactured, supplied and installed by Walter H. Becker GmbH – and has thus been designed to maintain its material properties, quality, protective properties and sturdiness – ensuring a long service life. Firm and stable. Clean and mobile. BECKER’s success formula is one of the best-kept open secrets. It includes the following ingredients: surfaces which conform to the strictest hygiene requirements and are resistant to germs and aggressive chemicals; chrome-nickel steel parts virtually without joints; strong and silent hinges and castors; wall guards to keep walls spotless; drawers which are dust and air-tight; shock, abrasion and impact resistant surfaces and handles; sturdy construction and sophisticated cabinet designs conceived to stay in good shape, whether they are wall-mounted, floor-standing, fixed or mobile – and always fit. Every product is different. Every object is different. Every hospital makes new demands. Every hospital has special wishes. If this is the case, give us a call: Your challenges are our challenges. 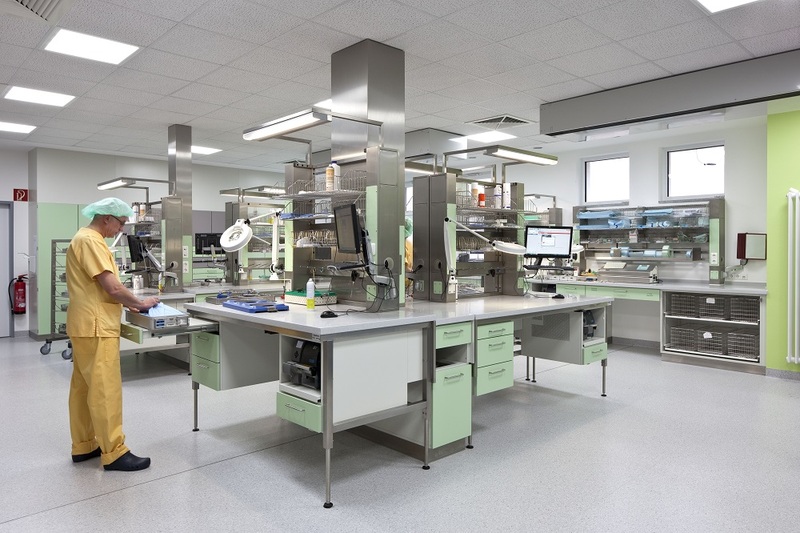 Your time, deadline and planning pressures can be reduced by letting us visit your facility and join you in planning and finding creative solutions. 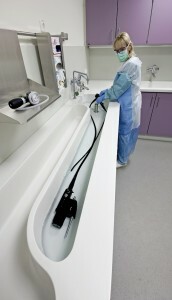 Let us join you in working out the best system solutions for your functional medical areas. Our comprehensive portfolio of furniture in all sizes, our wide choice of colours and individual options help you find the best furnishing and equipment for your needs and help you use your space as economically as possible. By the deadline date, all duty rosters and services are up and running smoothly. Everything is in place. Delivered and made to measure from one single supplier! Our flexibility and uncomplicated processes ensure effective procedures and installations, whether fixed or mobile. Try our services. We look forward to hearing from you. 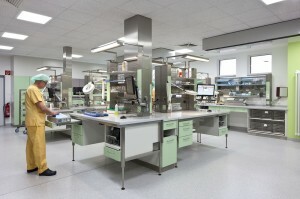 More than sixty years of experience in metalworking and making steel furniture and four decades of manufacturing steel furniture for clinical and hospital applications – our experience of the procedures and challenges facing staff and materials in everyday clinical activities has taught us how to combine functionality with the quality of life and work. frills, bends and joints are dust catchers and germ traps. That is why the straightforward attitude of our company and the straight lines our products perfectly match the practically oriented and functional world of the healthcare sector: no-nonsense, high-precision and functional designs – and at the same time aesthetically pleasing. All this because we make furniture for people. This calls not only for high technical know-how, but also empathy, finesse and ingenuity. At Walter H. Becker GmbH, these qualities abound. Would you like to learn more about us? We look forward to your call or written enquiry.